Some of the most carefree and memorable days from my youth were spent boating on the lake, bouncing across clear waters at about 25 miles per hour with the wind in my hair and the sun warming my shoulders. Once you are hooked on boating, it is easy to understand the joy of sharing this activity with the little people you love most, your kids. With so many water sports to enjoy once you own a boat, it is doubtful that you will ever hear those dreaded words, "I'm bored." Boating is one of the only sports than everyone can enjoy, the athletic and the unathletic, the young and the old. This pure connection over fishing, waterskiing, snorkeling, tubing, wake surfing and knee boarding, is guaranteed to boost your parenting cool factor. Below are a few of my favorite observations about how a boat has changed my relationship with my kids and how it has elevated my status from an older person to put up with to a trusted confidante worthy of admiration. Just thinking about our last boat outing puts a smile on my face. 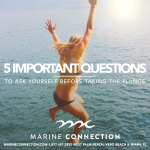 Being out on the water away from electronic distractions allows your kids the time necessary to lower their guard and open up to you in an honest conversation that doesn't often happen when life is moving too fast. Anytime you can teach your kids something that they are interested in you connect with them in a special way. Whether you are teaching them how to bait a fishhook or where the best beach spots are located for swimming, your kids are impressed. Kids love to invite friends to join them at the lake. Boats are inherently fun and offer an affordable getaway that every generation appreciates as an escape from the stress of everyday living. 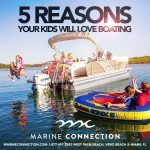 Your kids will be proud to share this experience with their friends and will always feel privileged to introduce them to the boating life with a sense of pride and wonder. There is something special about eating together on the water. Maybe it is the rock of the boat or the smell of the water, but cooking out on a boat is a loving project where everyone can chip in to add his or her special contribution that is often viewed as a boring chore at home. Kids love cool parents who can leave their serious authoritarian side behind for a while and connect on a more casual level where fun activities rule the day. When kids get to see Mom and Dad on the lake, laughing and splashing each other with water, they get to see a rare glimpse of their humanity, instead of only seeing them in the authoritarian role that is always pushing them to do their homework or clean up their room. When they have activities to look forward to as a family, kids can begin to appreciate how cool you are, even when they won't admit it to their parents or siblings. Buying a boat will change your life and make you a hero in your kid's eyes. Life doesn't get much better that that. Depending on your family's needs and the body of water you will be spending time on, there are many boats to consider. Whether you are in the market for a used or new boat, there are many desirable brands to consider. Some of the best brands to consider are Pathfinder, Sportsman, Cobia, Sailfish, Hurricane, Rinker, and Hewes. There is no time like the present to reconnect with your kids. 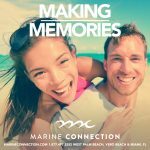 Marine Connection is South Florida’s leading Cobia, Pathfinder, Sailfish, Sportsman, Hurricane, and Rinker boat dealer. 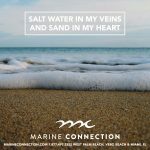 Marine Connection covers over 250 comprehensive miles of territory on Florida’s east coast with three award-winning locations in West Palm Beach, Miami, and Vero Beach. 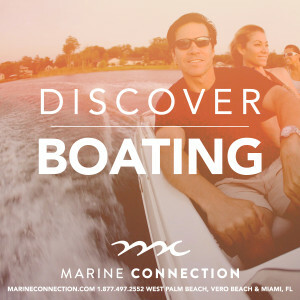 Selling and exporting boats since 1987, Marine Connection was founded on the principle of delivering value far beyond its price, doing so by providing the most pleasant and professional boat purchasing experience for thousands of satisfied customers. Ranked as the No. 1 Dealer in the World for Cobia and Sportsman Boats, No. 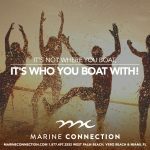 1 Dealer in Florida for Hurricane Boats, and one of Boating Industry’s Top 20 Dealers in the Nation for three consecutive years, Marine Connection also achieved placement on the prestigious Inc. 5000 list as its only boat dealer for two years in a row. 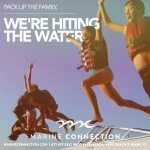 For more information, please visit http://www.marineconnection.com/.